With station wagons losing ground to the ever-growing crossover segment, shooting brakes aren’t doing very well either. 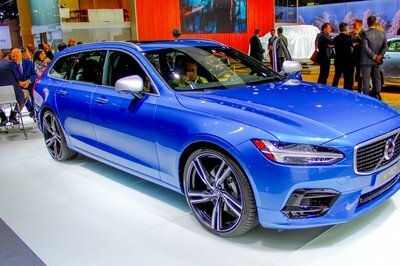 Things are worse in the U.S., where very few automakers still offer wagon or shooting brake body styles. Mercedes-Benz is the only brand that can brag about offering two shooting brakes (based on the CLA and CLS), but neither of them are available in North America. 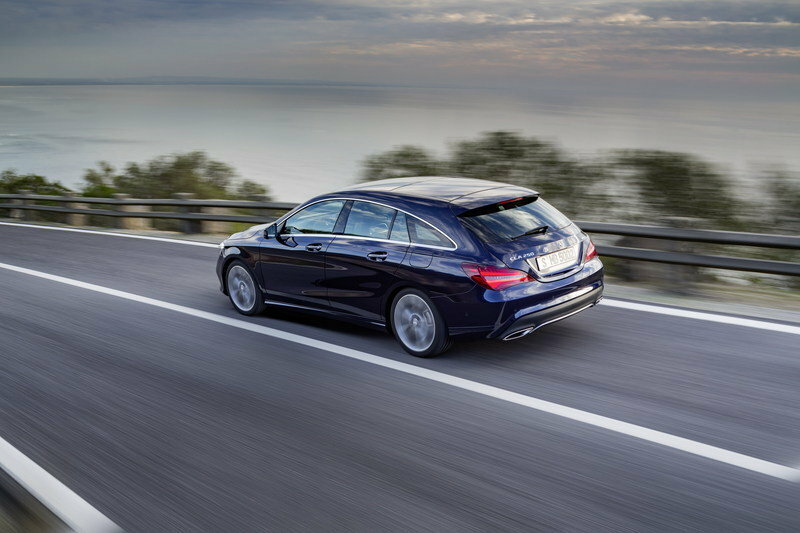 With the CLA sedan selling like hot cakes in the U.S., Mercedes’ decision to not offer the CLA Shooting Brake on these shores is difficult to explain. 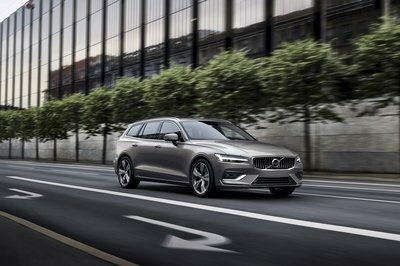 And while we’re trying to figure that out, Europe is welcoming an updated version of the sleek wagon. 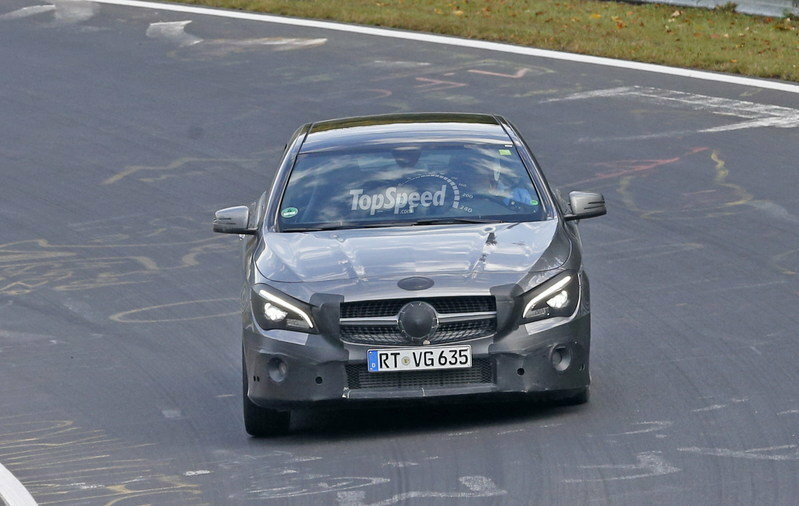 That’s right, Mercedes-Benz isn’t letting its CLA-Class age ungracefully. No, the German automaker is already refreshing the car for the 2017 model year, only four years since its introduction in 2013. We’ve been closely following the revamped CLA-Class through its development. But spy shots of camouflage-covered test mules and rumors winding through the industry have finally given way to official photographs and press releases. So what does this mid-cycle refresh mean for the shooting brake version of the CLA? Keep reading to find out. 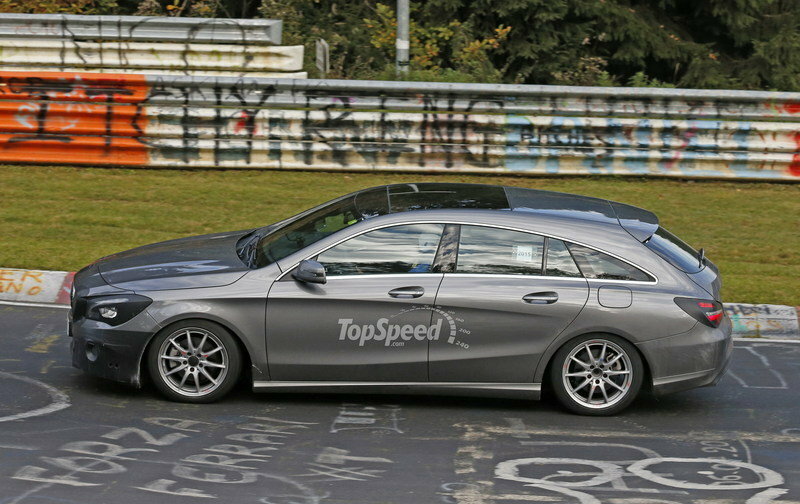 Update 03/17/2016: Mercedes has unveiled the 2017 CLA Shooting Brake. This mid-cycle refresh follows the CLA sedan in offering an updated exterior and new interior trim work. 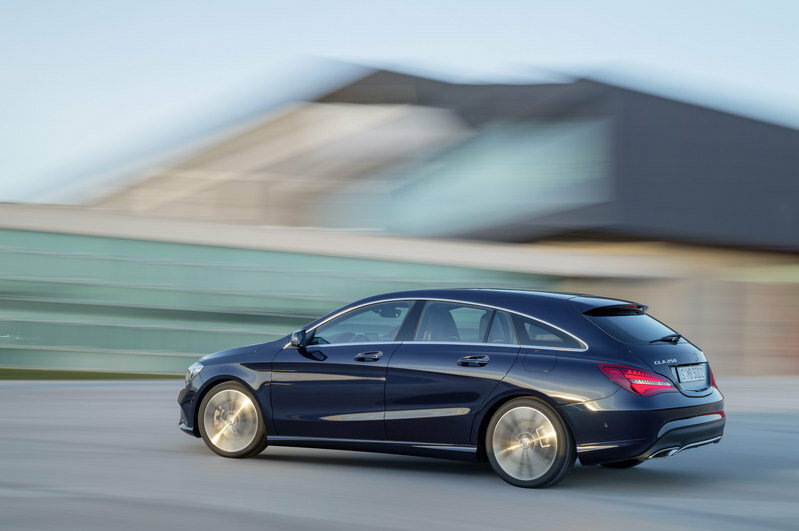 Continue reading to learn more about the 2017 Mercedes-Benz CLA Shooting Brake. 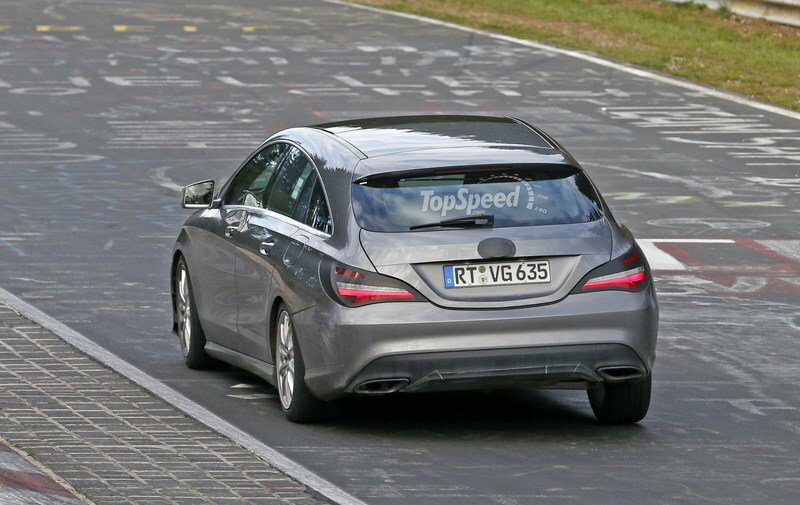 The 2017 CLA Shooting Brake sports several exterior changes, though nothing is overly drastic. 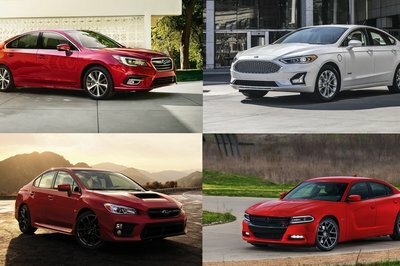 In fact, you’d have to place the 2016 and 2017 model years side by side to spot the updates. First and most noticeable are the headlights. The LED High Performance headlights as an option on the CLA. Mercedes says the headlights use a color temperature that is closer to daylight, making nighttime driving less stressful on the driver’s eyes. The low beams use 34-watt LEDs, which use around 60 percent less power than xenon lights and a whopping 70 percent less than traditional halogen bulbs. The high beams also use LED technology, but reflect the light to increase intensity. Speaking of the rear, the CLA Shooting Brake also enjoys a new rear bumper. The design cleanly incorporated the chrome-tipped exhaust pipes with a chrome bezel running between. Similarly, the CLA’s front grille and bumper enjoy a mild rework. The grille’s horizontal bar is now a single piece, ditching the double bar look from before. Mercedes is also introducing a new color called Lunar Blue, along with six new wheel designs. Hands-free operation of the rear tailgate is now possible with the wave of a foot, similar to other automakers’ systems. Like the exterior, Mercedes designers kept a good thing going with the cabin. The overall design hasn’t changed, though several of the details are now more refined. It starts with a slimmer-looking, eight-inch infotainment display that is freestanding on the dash. Its control buttons are new and covered in chrome. The driver now has red needles in the gauge cluster for easier reading, as well. The seats and trim work are also updated. Options for the trim include a sail-look finish, matt black ash wood, black Dinamica microfiber trim on the Sport Package Plus, and an aluminum trim with a honeycomb grain. Of course, which trim you get is your choice and coordinates with the updated leather upholstery. The chrome accents on the switchgear also matches new chrome accents on the doors, power seat adjustment buttons, center console, and trimmings in the rear storage compartment. Technophiles will likely go for the optional Smartphone Integration Package. It allows for voice-operated control of an iPhone or Android device, along with hosting Apple CarPlay and Android Auto. The updates are small but welcomed, and fill the cabin with a more luxurious feeling. The dash does look a bit odd, however, with the infotainment screen looking like an afterthought and the vast array of buttons on the center stack looking like it came from a 2000-model Benz. Mercedes elected to keep the mechanical bits unchanged for this mid-cycle refresh, however, there’s a new high-efficiency diesel version available. 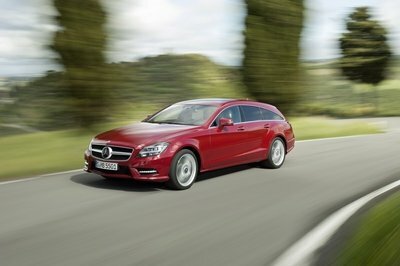 Like before, the CLA Shooting Brake will be offered with several gasoline and diesel options, in both rear-wheel and AWD. The base gasoline powertrain is a 2.0-liter four-cylinder in the CLA220, offering 184 horsepower and 221 pound-feet of torque. New for 2017, the 4Matic AWD system is offered on the CLA220. 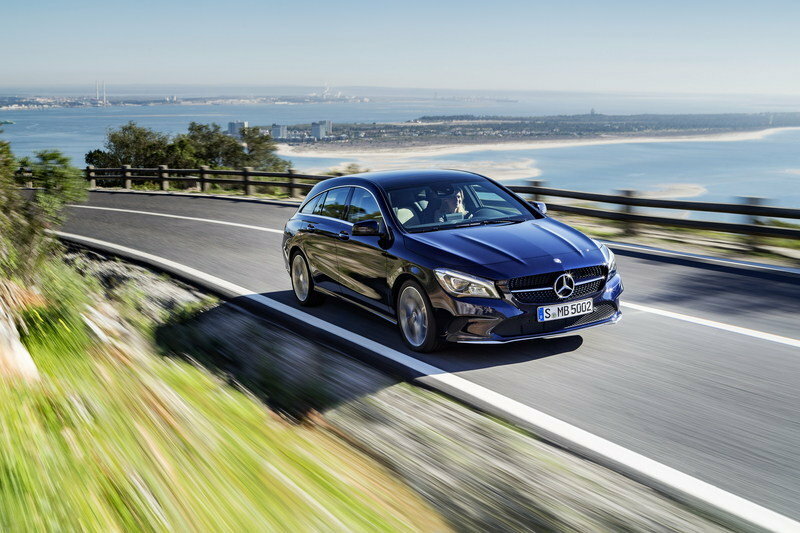 The new high-efficiency diesel comes in the CLA189 d BlueEfficiency Edition. The befuddled name aside, the engine is a 1.5-liter four-cylinder turbodiesel with 109 horsepower and 191 pound-feet of torque. On the European scale, the CLA189 is rated at an impressive 71.3 mpg. As with most Mercedes models, AMG versions are available. The CLA’s version is the CLA 45 AMG with a 2.0-liter gasoline turbo engine that makes 375 horsepower and 350 pound-feet of torque, pushing the car to 62 mph in only 4.2 seconds. The CLA offers most of the modern active and passive safety devices, including Active Brake Assist, ABS, stability control, traction control, and a host of airbags throughout the cabin. Hands-free connectivity for cell phones means drivers are less distracted, as well. Mercedes has not announced official pricing for the 2017 CLA Shooting Brake, though prices start at £25,230 (about $39,000) in the U.K. and goes up to £35,960 (around $56,000) for the most expensive non-AMG trim. Expect prices to see a minor hike with the facelift. But sadly for all you U.S. readers, none of this matters. Mercedes has no plans to debut the CLA Shooting Brake inside our borders. Since no other carmakers offer compact shooting brakes, the CLA is pretty much in a niche of its own. But if you really want an alternative, you might as well have a look at the Audi A4 Avant. Though it’s not as unique as far as styling goes, the A4 Avant comes with plenty of storage room and an engine lineup that includes both small-displacement four-cylinder units and 3.0-liter V-6 powerplants. Output ranges between 190 and 252 horses for gasoline models and 150 and 272 horsepower for oil burners. Pricing starts from £27,300, making it a bit more expensive than the CLA Shooting Brake. 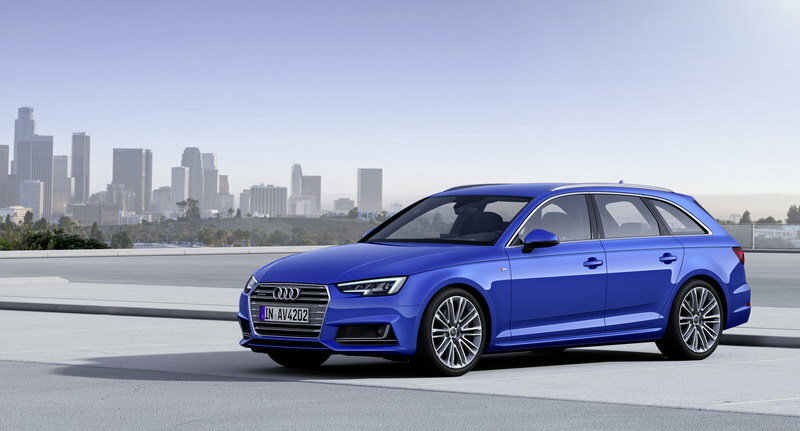 Find out more about the Audi A4 Avant here. Now that we’re looking at competitors for the slightly bigger C-Class Wagon, we might as well talk about the BMW 3 Series Touring. Widely regarded as the sportiest offering in the compact wagon segment, the 3 Series Touring can too be had with an array of gasoline and diesel powerplants in Europe. In the U.K., the entry-level gas model comes with 136 horses on tap, while the range-topping M Sport models benefits from 326 horses. Diesels crank out between 116 and 313 horsepower. Pricing starts from £26,405 and goes up to £41,665. 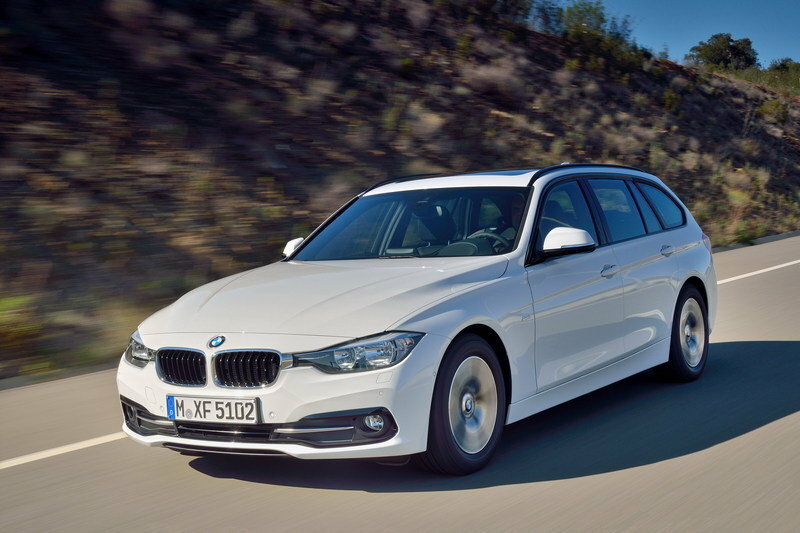 Find out more about the BMW 3 Series wagon here. 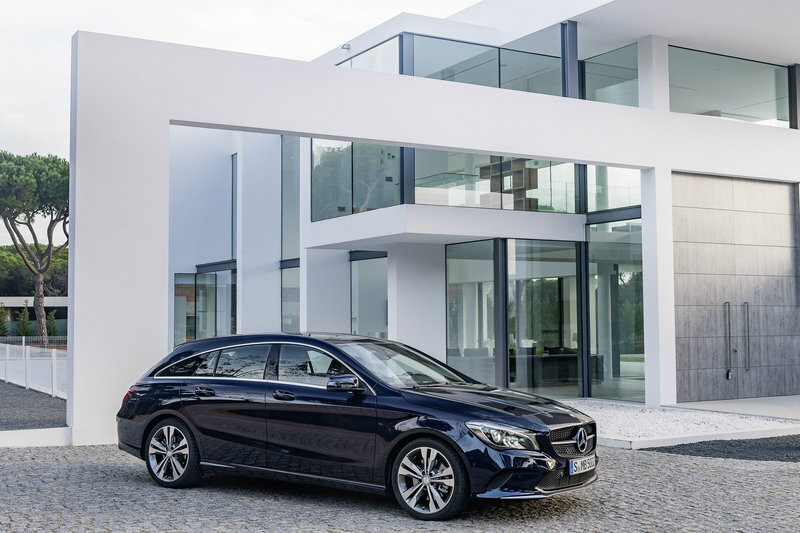 The CLA Shooting Brake is stylish and well-equipped alternative to a traditional wagon, as well as a more affordable option to the larger CLS Shooting Brake. However, its appeal is limited to a small niche as it fails to provide the space and practicality of a conventional wagon. The Shooting Brake is somewhat of a compromise. 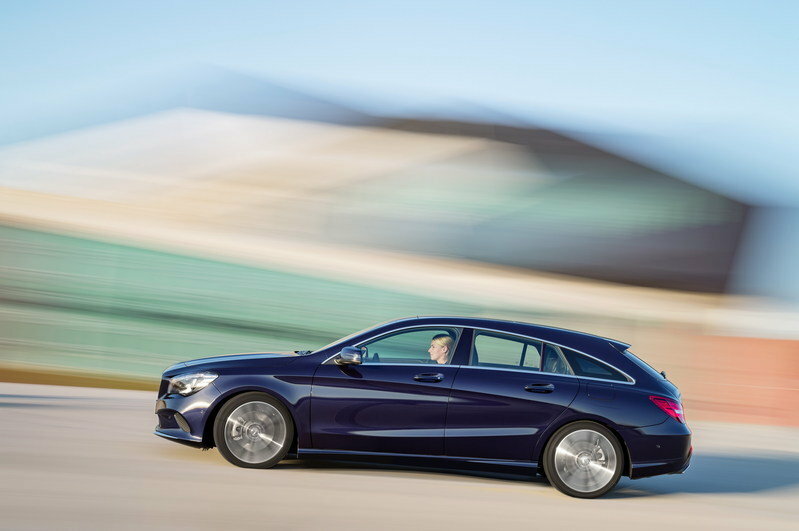 If you’re looking for a sleek wagon that stands out and you don’t care much about practicality, then the CLA Shooting Brake is definitely the way to go. If cargo space and practicality are more important, then you’re better off with an Audi A4 Avant or BMW 3 Series Touring, which have a more accessible trunk and roomier rear passenger sections. Granted, the facelift doesn’t bring many improvements to the CLA, but drivers concerned about looks will most definitely appreciate the new appearances inside and out. It’s good to see an automaker keep its models fresh, even if they aren’t mainstream offerings. Okay, so the shooting brake version is piggy-backing off the CLA sedan’s updates, but hey, we’re just glad this niche vehicle is getting some love. The sporty, expressive design of the CLA is now further honed in a facelift involving new front and rear bumpers as well as new light-alloy wheel designs. The interior also benefits from numerous enhancements, among them new seat covers and trim parts, as well as chrome-plated controls. LED High Performance headlamps, HANDS-FREE ACCESS and further possibilities for integrating smartphones into the control system are all options that serve to enhance safety and comfort. The addition of Active Brake Assist as a standard feature further strengthens the CLA’s credentials as a leader in its class, as does HANDS-FREE ACCESS as an optional convenience feature. The Mercedes-AMG CLA45 now features even more dynamic styling and a further upgraded interior. With a peak performance of 375 hp and maximum torque of 350 lb-ft, it is amongst the most powerful vehicles in its segment. The facelifted version of the CLA 4-door Coupe will make its physical debut at the New York International Auto Show on March 23rd. The 2017 CLA will be available in US- dealerships in the third quarter of 2016. In undertaking the facelift modifications, the Mercedes-Benz designers have subtly honed the distinctive look of the CLA. All models now have a new front bumper with a silver, black or chrome trim strip. The rear bumper is optionally available with a panel incorporating a trim strip in chrome or black (Night Package) between the tailpipes. The tailpipe trim panels themselves are now integrated flush into the bumper. This adds visual width to the vehicle and ensures a superior high-quality appearance thanks to even and narrow gaps where the panels join. There is a new metallic paint available, Lunar Blue. Most of the available wheels now feature a new design – overall, six different wheels are available to chose from for the CLA250. 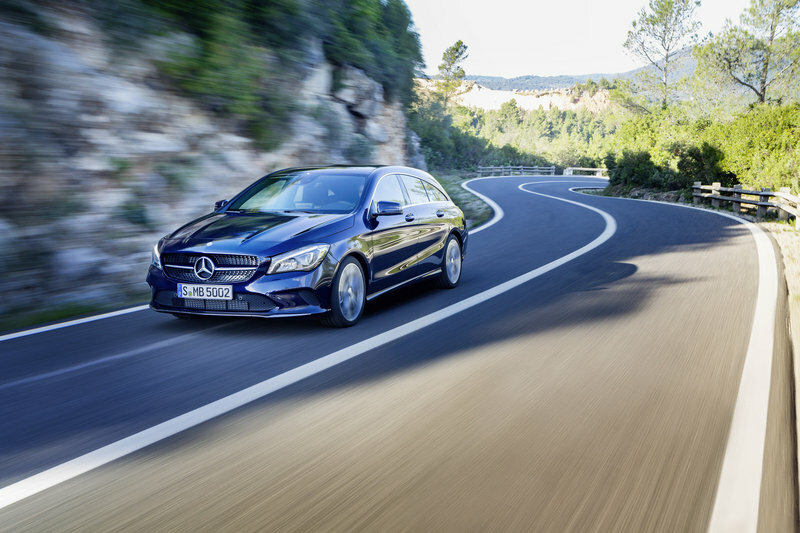 The CLA previously included the latest generation of assistance and safetysystems that are, in some cases, only now gradually being introduced in the other model series. Among these are Active Brake Assist as standard (known until now as COLLISION PREVENTION ASSIST PLUS), which is able to trigger autonomous braking as a means of reducing the danger of rear-end collisions, as well as the transmission mode selection function DYNAMIC SELECT. With this system the vehicle characteristics can be adjusted at the touch of a button, as the system modifies the engine, transmission and steering feel. The ambient lighting system, which can be individualized by setting any one of twelve color moods, has been part of the specification since the start. The interior also benefits from features such as new seat covers and trim parts, as well as chrome-plated controls. The highlight here is a much slimmer-looking freestanding 8-inch media display with a new-style glass cover, standard equipment in the US. The new-style dials and red needles in the instrument cluster make it easier to read the instruments. Meticulous attention to detail is also evident from the silver chrome finish to the controls and to the fascia and switches in the doors for the electrically adjustable seats, as well as from the chrome surround to the stowage compartment in the center console. New trim elements in sail-look finish, matt black ash wood, black DINAMICA microfiber trim (optional in conjunction with the Sport Package Plus) or aluminum with honeycomb grain, serve to liven up the interior. There is also a revised range of seat covers: for the optionally available Interior Package there is a new leather upholstery option in beige/black. The CLA is optionally available with LED High Performance headlamps with a color temperature that is closer to that of daylight than traditional xenon headlamps. This is more restful to the eyes and therefore provides relief to the driver at night. The 34-watt LED low-beam headlamps also have very low energy consumption – around 60 percent less than xenon and around 70 percent less than halogen. The low-beam headlamps use LED projection technology, while the main-beam headlamps use LED reflection technology. Direction indicators, daytime running lamps and position lights are in the form of multifunctional fiber-optic cables, which are also used for the ’Coming Home’ function. As all lights use LED technology, there is never a need to change a bulb over the entire service life of the vehicle. The new optional LED High Performance headlamps are combined with automatic intensity control tail lights, which reduce the dazzling effect for vehicles following. The multi-level functionality regulates the brightness of the brake lights and direction indicators in three stages (Day/Night-time driving/Night-time stationary). Loading becomes easier with the HANDS-FREE ACCESS option. This system allows the trunk lid or tailgate to be opened without any physical contact; all it takes is a motion of the foot in the area of the rear bumper. HANDS-FREE ACCESS is now included as part of the Premium Package. The optionally-available Smartphone Integration Package allows the integration and voice-operated control of iPhones® and Android smartphones via Apple CarPlay® and Android Auto™ respectively. Selected functions can be operated using vehicle controls, thus allowing safe use even while on the move. A Rear View Camera is now included in the standard equipment for the United States. 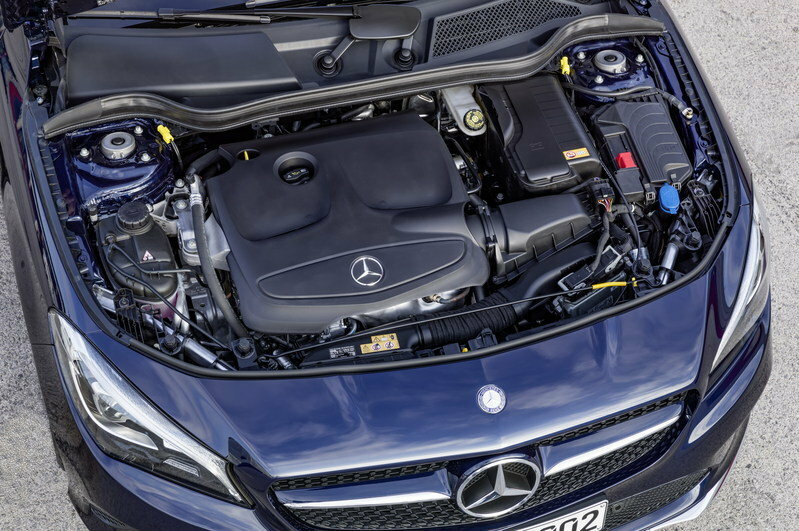 The four-cylinder engine in the CLA250 delivers an output of 208 hp and is paired as standard with the 7G-DCT. 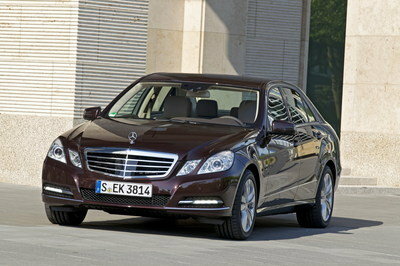 It is available in both front-wheel drive or with optional 4MATIC.